Dean Winters Brother, Married, Wife, Girlfriend, Height, Is He Gay? 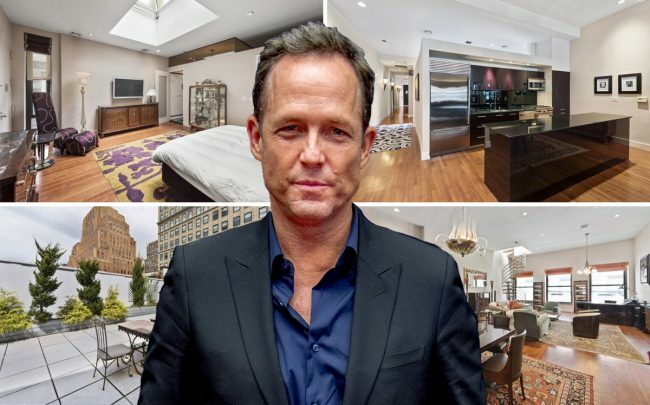 Home Actors Dean Winters Brother, Married, Wife, Girlfriend, Height, Is He Gay? Without a doubt, even though he is not a regular character on the show, fans of the hit show, Brooklyn Nine-Nine would be familiar with Dean Winters, who is known as The Vulture on the cop comedy show. It would be one of a series of shows that Dean Winters has made his mark on, in addition to others like 30 Rock, 0z, Rescue Me and a commercial series for Allstate Insurance where he played Mayhem. His is an illustrious career that sure leaves him smiling to the bank at the end of the day, but as interesting as his career has been thus far, it still does not compare to the singular fact that Dean Winters was once dead for 2 and a half minutes. We’ll talk about this among other interesting things about the actor below, read on. Dean Winters is an Irish-Italian, a descendant of the great Irish and Italian immigration to the United States. He was born in America’s greatest city, New York City on the 20th of July, 1964 and was raised in Long Island along with two brothers and a sister. All four of them were raised by their parents; Patrick Winters, an electronics engineer and their mother, Magna Winters who died when Dean was still very young. Winters had a normal American childhood attending high school at Chaparral High School, Brophy College Preparatory before moving to college at Colorado College where he graduated from in 1986. Though he was raised in Long Island, Dean spent some years in Scottsdale, Arizona. Armed with a degree in Theatre, Dean Winters sought to make a career out of his degree by becoming an actor. He began by starring as a guest star on the 1995 show, Homicide: Life on the Street where he played the character Tom Marans and starred in 3 episodes of the show between 1995 and 1996. His second credit was in NYPD Blue, also as a guest star. He played a couple more television roles before he got his first taste of appearing in a feature-length film. His debut film was in Conspiracy Theory (1997) where he appeared as Cleet starring beside greats like Mel Gibson and Julia Roberts. In the same year, he starred in another film, Lifebreath and went back to the TV life. Before he returned to film in 1999 in Undercover Angel, he went back to television starring in shows like Firehouse and Millennium. Through 1997 to 2003, he starred in one of his more famous television shows, Oz, playing Ryan O’Reilly as a series regular and appearing in 56 episodes. Dean Winters has made a career for himself both on television and in Film, with multiple credits across both mediums. Some of those credits like 30 Rock, which he starred in as Dennis Duffy in a recurring role for 15 episodes, have brought him award recognitions like being nominated for a Gold Derby Award and an Online Film & Television Association Award. Dean has starred in a couple of other comedic roles including his role in Brooklyn Nine-Nine which is the result of a short standup career he had before he starred in Oz. During his standup career, he performed alongside heavyweights like Jerry Seinfeld, Chris Rock, and Paul Reiser. So far, Dean Winters has starred in over 50 films and television shows, and such an impressive number of credits would not have happened had he died when he contracted a bacterial infection in 2009 that saw him pronounced dead for all of two minutes. Through the help of paramedics who were transporting him, he was revived, allowing the world to enjoy the talents of Dean Winters on films like Rough Night and John Wick. Seeing as he has never been married, Dean’s family remains his siblings, of which he has three of them. One of them, Scott William Winters is an actor just like him and has starred in films like Good Will Hunting, and shows like 24, Law & Order and The Americans. The other is a writer named Bradford Winters while his sole sister is Blair Winters and there is no record of what she does for a living. Dean Winters has made a tradition of keeping his personal life a secret but not even the Oz actor could keep the entirety of his life away from Hollywood’s secret vultures. It was gathered that Dean Winters had been in relationships at different times with actress Jennifer Esposito and Maggie Marzigiliano. But for a longer period after those two, he has been running solo, and the lack of a steady and recognized female partner has led to gay rumors from fans of Dean Winters. But like everything about his personal life, nothing has been confirmed nor denied by the actor who prefers to remain mysterious and let the rumors fly around at will. At the moment, he neither has a girlfriend nor a wife. Dean Winters may no longer have a complete set of body parts after losing two of his toes and half of a thumb to amputation as a result of the gangrene condition, but he still remains an incredibly fit and handsome man. He stands at a height of 6 feet with a weight of 78 kg.